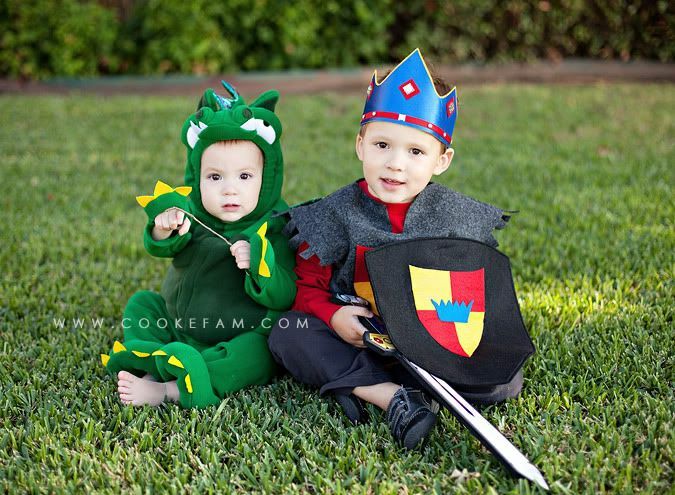 ...from our brave knight and little dragon! 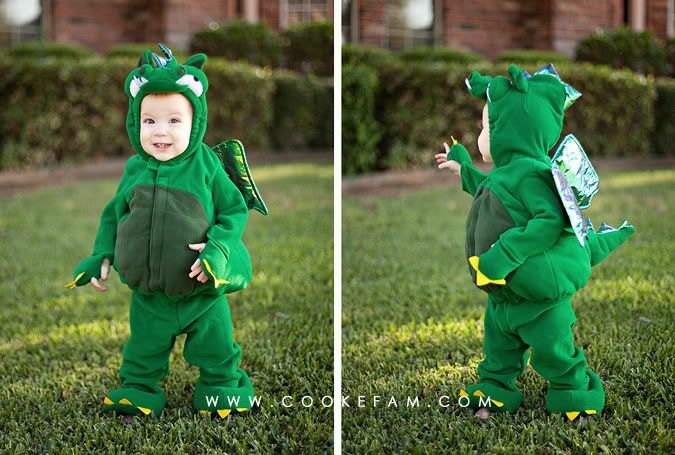 There are few things cuter than little kids in costumes. I wonder how many more years I'll be able to coordinate the boys' costumes? We'll see! 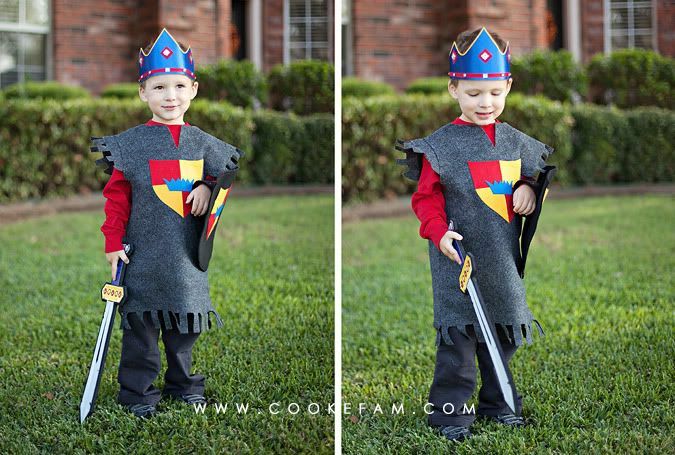 (By the way, I got Ethan's costume as a custom order from Birthday Adventures on Etsy and Logan's from Old Navy.) We are probably going trick or treating for the first time tonight (well, since Casey and I were kids)...it should be fun! 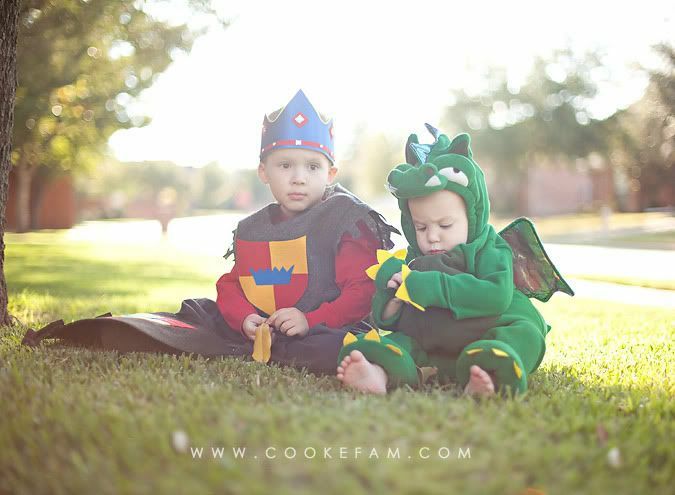 adorable knight and dragon:) i agree, there's not much cuter than kids in costume. A.D.O.R.A.B.L.E! Love their cute little costumes and I like how you coordinated them. The backlit photo is beautiful as well. That knight has a lot to think about, haha!